The Russian round last weekend felt like a moment of realisation. Ferrari it seems doesn't have the inherent pace advantage; not anymore at any stretch. Perhaps, some reckon, the FIA had a word in its ear about its famous engine mode. So the championship points table is not a trick of the light. Mercedes and particularly Lewis Hamilton are indeed worthy favourites. And they should especially be worthy favourites at Suzuka this weekend, scene of the latest Japanese Grand Prix. Flowing tracks such as this one are usually where the Merc is at its most potent and a silver car has won the last four here. 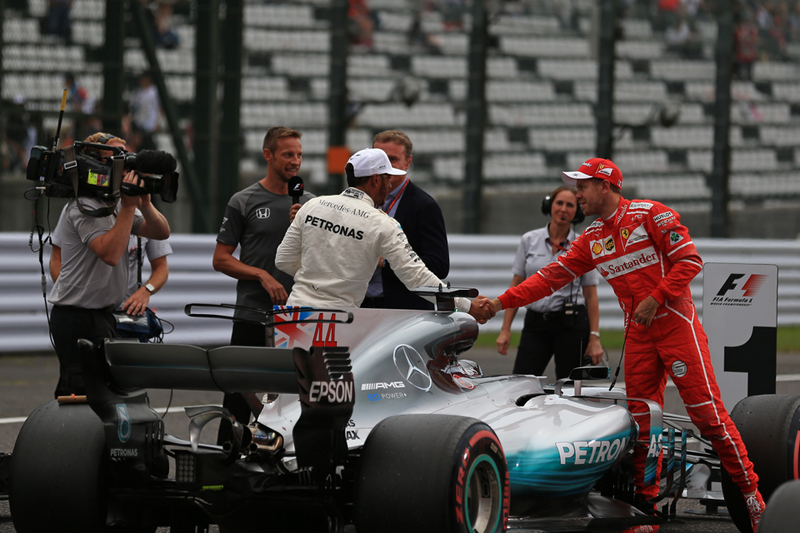 Hamilton and Merc being favourite isn't good for the flutter-minded F1 fan as their odds tend to be pretty tight at the best of times. Nevertheless you can back Hamilton for pole and win at 5/6 at 11/13 respectively. There are though a couple of points to consider. One is Hamilton hasn't always been that happy at Suzuka. Even though he's won here three times last year was his first pole and by his own admission he hasn't always found a suitable set-up for this track. With this and that Mercedes is expected to be on top is it worth backing the other Merc of Valtteri Bottas? It has a certain logic and Bottas indeed qualified second here last year before being set back by a gearbox penalty. But there is of course an elephant in the room. That based on Russia we don't know if he'll be allowed to win if Lewis is right behind him. Also there's the question of what impact Russia's goings-on will have on him just a few days on. It seemed the team order came as a shock to him. With this pole and podium may be the best bets for Bottas, which are available at 9/1 and 10/11 respectively. But if you feel lucky - that either a car gets between the two Mercs or Mercedes learns from its public chastening of last week - you can back him to win at a whole 9/1. You can also hedge by backing a Mercedes pole at 8/11 and a Mercedes win at 8/13. Rain is expected this weekend - what impact will that have? Suzuka also is a long lap so it could be worth backing a pole winning margin of over two tenths of a second at 29/20. The other point to consider is the weather, as typhoons are forecast this weekend. Rain is usually just Lewis's thing too - and he's won here in the wet before. But then again rain adds a variable, and Hamilton as favourite can only have his chances reduced by variables. Max Verstappen has been in mighty form lately and ran Hamilton mightily close for the win here last year. Time was that Suzuka was stick-on Red Bull country, suiting the ultra aero efficient car. Ordinarily if it rains we'd look somewhat to Max and Red Bull too - but the Bulls were well off the pace in Hungary's rainy qualifying a few weeks ago. Still you can back Verstappen for a podium finish at a tempting 7/4. Kimi Raikkonen traditionally goes well on flowing tracks too and he could also be worth backing for a podium place at 2/1. Haas seems a good shout to be best of the rest outside the 'big six'. 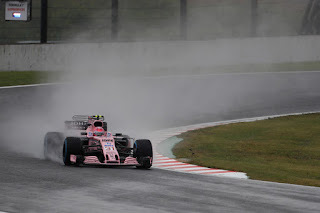 It was clearly in that place on pace at the similar track of Silverstone earlier this year and got a double points finish at Suzuka last year in an age when such a thing was unlikely for the team. Kevin Magnussen and his team-mate Romain Grosjean are both available to wager on for a top six finish at 5/2. More safely you can back Magnussen at 11/17 and Grosjean at 8/11 to score. And if you're minded of how the rain could affect things, Carlos Sainz and Pierre Gasly both went well in Hungary's sodden qualifying. And both have tempting odds for a top six or top 10 finish. Sainz can be backed at 13/2 for a top six and 11/10 to score, while Gasly respective odds are 15/2 and 13/10. All odds quoted in this article were accurate on the Oddschecker website at 0815 GMT on Wednesday 3 October 2018.